Brussels Airlines to increase flights to Entebbe & Kigali! The flag carrier and largest airline of Belgium, Brussels Airlines, is set to launch a forth weekly flight on Mondays (SN471) between Brussels Airport (BRU) in Brussels and Kigali International Airport (KGL) in Kigali, Rwanda, via Entebbe International Airport (EBB) in Entebbe, Uganda, on 28 March 2015. With the addition of this flight, Brussels Airlines' overall service to Entebbe will increase from 3 to 4 weekly flights, while Kigali sees increase from 5 to 6 weekly flights. Zimbabwe: Eight rhinos killed by poachers in 2015! According to Oscar Nkala, a guest blogger on National Geographic's "A Voice for Elephants", Zimbabwe lost eight rhinos to poaching in 2015. During 2014, a total of six rhinos were killed by poachers, 20 rhinos in 2013 and 66 rhinos in 2012. Zimbabwe is home to Africa's fourth largest rhino population, estimated at 766 in 2014, after South Africa, Kenya and Namibia. 90% of the country’s rhinos have been removed from high-risk poaching areas to Intensive Conservation Zones (essentially protected breeding areas in selected game reserves). These protected breeding areas are in Matobo, Bubye Valley, Save Valley, Hwange (Sinamatella Camp), Sebakwe, Chivero, Malilangwe and Imire Conservancy. 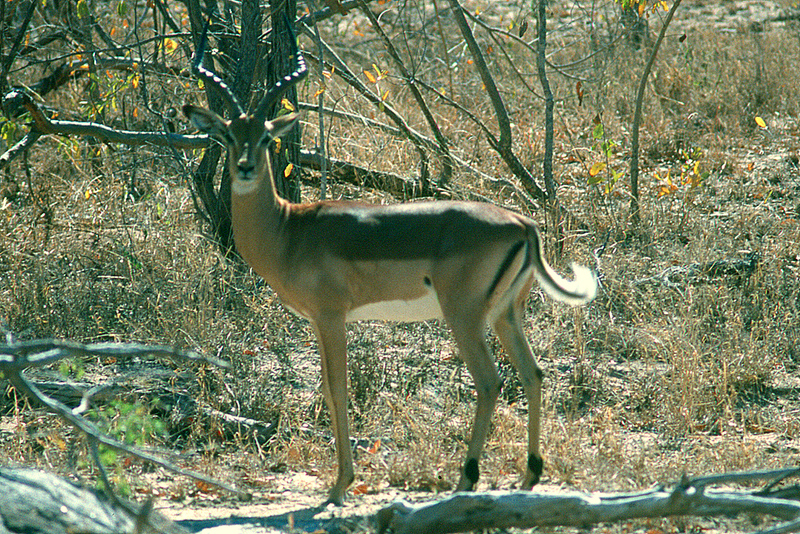 Mozambique: The Tunduru Botanical Gardens in Maputo has been re-opened to the public! The Tunduru Botanical Gardens in Mozambique's capital Maputo has been re-opened after more than two years of rehabilitation. Work at the gardens included rehabilitation of the old greenhouse and the construction of a new one, improving the public benches, the paths and the fencing as well as installing a new sanitation and irrigation system. The rehabilitation work began in October 2013 and was scheduled to be finished in 2014. Various delays led to an overrun of 14 months. The total costs of the project is 170 million meticais (USD 3.7 million). The Tunduru Botanical Gardens, which is located in downtown Maputo, is a public park and garden. It was designed in 1885 by Thomas Honney, who in his career also designed gardens for the King of Greece and the Sultan of Turkey. The four Vlogateers Tom, Will, Jack and Harvey recently took one of TAZARA's passenger trains to get from Dar Es Salaam in Tanzania to New Kapiri Mposhi in Zambia's Central Province*. While on the train, the four filmed a super handy FAQ video about the Tanzania-Zambia Railway Authority (TAZARA). Watch and get to know what the two to four day journey is like, how to book tickets for TAZARA, what to bring (toilet paper! ), how you get your visa, where to change shilling into kwacha and many more useful information. Kudos Tom, Will, Jack & Harvey! *There are various buses and taxis connecting New Kapiri Mposhi with Lusaka. The journey to Zambia's capital will take 3-5hrs (approx. 200km). South Africa: Extended border hours during the festive season 2015/16! South Africa extends the working hours of some of its ports of entry during the festive season 2015/16 to avoid delays at border posts. 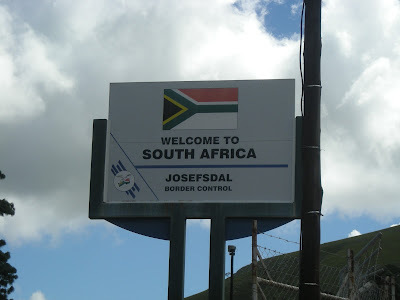 During the festive season, high volumes of people are usually recorded at South Africa' borders with its neighbouring countries. Table Mountain National Park: Tokai plantation section remains closed! Standing trees that have been burnt or damaged by the fire are extremely dangerous continue to come down without warning in the area. Hazardous clear-felling operations of the burnt plantation trees are still underway with intensive harvesting of a number of compartments simultaneously. The burnt areas in Tokai are continually under assessment by SANParks. Once the area is considered safe and all environmental issues have been addressed, the Tokai plantation section of the Table Mountain National Park will be reopened. Air Botswana to re-introduce flights between Maun <> Cape Town! Botswana's state-owned national flag carrier, Air Botswana, will re-introduce its direct service between Maun Airport (MUB) in Maun and Cape Town International Airport (CPT) in Cape Town on 25 March 2016. The airline will operate three flights a week on Mondays, Wednesdays and Fridays. Reservations are already open. Iberia to resume flights to South Africa! The flag carrier and largest airline of Spain, Iberia, returns to South Africa. The airline will resume its service between Adolfo Suárez Madrid–Barajas Airport (MAD) in Madrid and OR Tambo International Airport (JNB) in Johannesburg on 01 02 August 2016. Iberia will operate three weekly flights between the two destinations on board an Airbus A330-300 aircraft. Cape Town: Chapman's Peak Drive remains closed to cyclists and pedestrians! Cape Town's famous Chapman's Peak Drive remains closed to cyclists and pedestrians. According to the Western Cape Department of Transport and Public Works, the road is not yet safe for cyclists & pedestrians. Although repair work on the catch fences above Chapman's Peak Drive that were severely damaged during the fires of March 2015 has been completed, significant numbers of rocks about the size of a human fist continue to roll down onto the road. These pose a serious hazard to cyclists and pedestrians because of the height from which these projectiles fall off the mountain. Once the normal vegetation cover, which holds the soil together and reduces the risk of smaller rocks rolling down the slope, is fully recovered from the fire, cyclists or pedestrians will be permitted on Chapman's Peak Drive again. The Western Cape Department of Transport and Public Works will review the situation again in 2016. On the good side, Chapman's Peak Drive will be open to two-way motor vehicle traffic during the December holiday period. Chapman's Peak Drive is a scenic 9 kilometres route between Noordhoek and Hout Bay along the western flank of the Chapman's Peak, a mountain on the western side of the Cape Peninsula, located about 15 kilometres south of Cape Town. Kruger National Park introduces new day-visitor entry system! 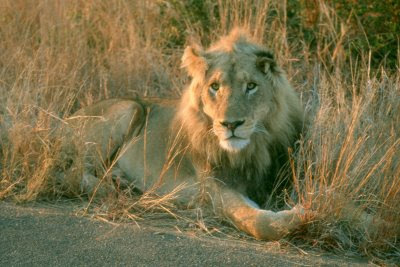 The management of the Kruger National Park has introduced a new system to streamline day visitor arrivals at the gates during busy periods. Time slot 3: Arrive 4+ hours after gate opening time. (Summer months 09:30 onwards). The Day Visitor Quota for Kruger National Park is a management tool to maintain the carrying capacity of the park. Visitors will be able to book up to 80% of Day Visitor Quota per gate, via South African National Parks (SANParks) Reservations offices. Pre-booked day visitors must ensure that they arrive within the time slots, as per their reservation. Arriving outside the booked time slot, will be regarded as non-booked and therefore not preferential. Visitors who made reservations prior to this new system have been allocated to Time slot 1. These bookings can be changed through SANParks Reservations offices. Day visitor bookings are subject to a non-refundable booking fee of R36 per adult and R18 per child. Day visitors who have booked will still be required to pay Conservation Fees or use a valid Wild Card to enter Kruger National Park. In order to expedite the admission process, on busy days in particular, day visitors are requested to pay for Conservation Fees in advance or ensure that they have valid Wild Card membership. Guests planning to use Wild Card are requested to ensure membership is valid before arrival and this can best be done online. (All) guests may be required to identify themselves upon admission (SA driver’s license, identity document or passport). Due to existing contractual arrangements with Open Safari Vehicles (OSVs), they are regarded as booked for all day visitor admissions. OSVs entering Phabeni Gate will be allowed entry 30 minutes before external gate opening time during the summer. Gate quotas will be applied and un-booked guests could be refused admission. In order to make the wait in the queue at gates a bit more pleasurable, South African National Parks (SANParks) will be providing serviced toilets at strategic points on the side of the road during peak times. Further to this a community initiative has been set up that will see hot and cold beverages being available for sale to visitors who will be waiting for entry. Guests are kindly requested to be patient and understanding of this new change. SANParks will be learning from this so please feel free to provide feedback through the customer feedback system. Namibia: The long-awaited Oshakati Open Market in Oshakati to open soon! The long-awaited Oshakati Open Market in Oshakati, which was initially planned to open in June 2014, will soon be inaugurated. According to media reports in Namibia, the Oshakati's town council plans open the new venue "shortly after the elections" (27 Nov 2015). The new Oshakati Open Market will house retail stalls, a public meeting hall, an administrative office, an information kiosk, public toilets, a children's playground, a seasonal food market, cold storage facilities, a craft market, a braai and raw meat market, a 37 metre (12 floor) high observation tower and a bus terminal. A total of 600 vendors can be accommodated in the market. The new bus terminal will be the only official bus stop in Oshakati; buses will not be allowed to operate from other places in town. Tanzania: Fastjet to launch flights between Dar es Salaam <> Zanzibar! Tanzania-based low cost-airline Fastjet is set to become the operator of the world's shortest (in terms of flying distance) scheduled service with an aircraft of the Airbus A320 family. The airline will launch flights between Julius Nyerere International Airport (DAR) in Dar es Salaam and Abeid Amani Karume International Airport (ZNZ) on Zanzibar on 11 January 2016. Both airports are located only 74.2km from each other. Fastjet will initially be operating 12 weekly flights between Dar es Salaam and Zanzibar and plans to increase the service to 14 flights per week from 21 March 2016. Previously the world's shortest (in terms of flying distance) scheduled service by the A320 family was TAM Airlines’ service between São Paulo–Guarulhos International Airport and Viracopos/Campinas International Airport. The distance between the two airports in Brasil is 80.6km. Fastjet to launch daily direct flights between Johannesburg <> Zanzibar! Tanzania-based low cost-airline Fastjet has announced that it will introduce daily direct flights between OR Tambo International Airport (JNB) in Johannesburg and Abeid Amani Karume International Airport (ZNZ) on Zanzibar on 11 January 2016. Flights will depart Johannesburg at 14:10 and will arrive on Zanzibar at 19:40, while the return flights will depart Zanzibar at 09:30 and will arrive in Johannesburg at 13:20. Tickets are on sale now. South Africa's most punctual domestic airlines in November 2015! Airports Company South Africa (ACSA) has published the on-time performance results of domestic airlines’ flying out of OR Tambo in Johannesburg, Cape Town International Airport, and Durban's King Shaka International Airport in November 2015. Fair Trade Tourism certifies the Montagu Country Hotel in Montagu! Fair Trade Tourism (FTT), a South African NGO that encourages and monitors fair and responsible practises in tourism establishments and activities, has added the Montagu Country Hotel in Montagu to the family of FTT-certified businesses. The hotel has been investing in energy saving initiatives like solar, low-energy lighting, compost-making with biodegradable waste and water-saving initiatives. It is also active in the local community, providing soup for the village soup kitchen, working closely with a hospice and the local Rotary branch which both use the hotel for meetings. The Montagu Country Hotel also supports various schools, charities and churches in the area and ensures that its procurement is kept local, as far as possible, especially where meat and fresh produce is concerned. Most of the hotel's staff come from Montagu and the various villages and communities which surround it. The town of Montagu is located near the picturesque Robertson Wine Valley on the famed Route 62 about 180km from Cape Town in the western Little Karoo. Travel Video: "for that moment in South Africa"
Marko Roth, a 21 year old freelance filmmaker, student and self-proclaimed media addict from Frankfurt in Germany, recently spend two weeks in South Africa. While travelling the country, he shot the outstanding travel video "for that moment in South Africa". The short film is by far one of the best on its kind I've seen in a while. What I really dig about "for that moment in South Africa" is that it is not only a great piece of (travel)-filmmaking, but also an attempt to understand and explain why we all actually love to travel. Kudos Marko & team! Mozambique: Nacala Airport to receive international flights from March/April 2016! According to the chairman of Mozambique's state airport management company (Aeroportos de Moçambique/ AdM), Emanuel Chaves, Nacala (International) Airport (MNC) in the country's north is expected to receive its certification to operate as an international airport in December 2015. International airlines operating to Mozambique are expected to start using the airport between March and April 2016. As of now, Mozambican airline LAM is the only airline operating flights to and from Nacala Airport. Nacala International Airport (MNC), which is located near Nacala in the Nampula Province in Northern Mozambique, has capacity to serve 500,000 passengers and receive 5,000 tons of cargo per year, opened in December 2014. The facilities at the Airport cover an area of 30,000m², including a passenger terminal area of 15,000m² and a control tower. The 3,100-metre runway allows large aircraft, such as the Boeing 747, to use the facility. Turkish Airlines to temporarily increase flights between Istanbul <> Johannesburg! 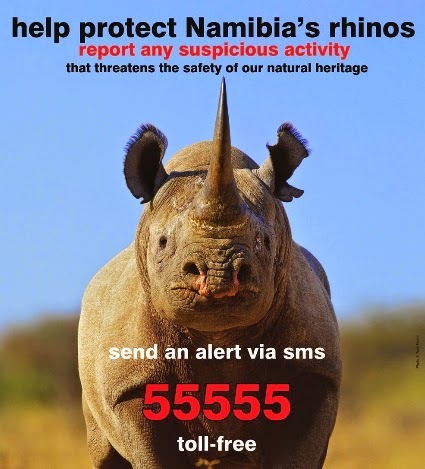 Namibia: 79 rhinos killed by poachers so far in 2015! According to Namibia's Ministry of Environment and Tourism, the country has lost 79 rhinos to poaching so far in 2015. 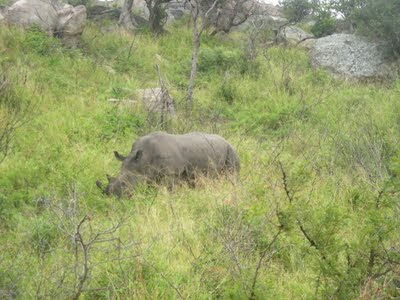 Of the 79 rhinos, most rhinos were poached in Etosha National Park. Some of the carcasses found in the National Park may actually be old and could therefore be the remains of animals that were killed before the start of 2015. The Ministry of Environment and Tourism offers rewards of N$60 000 for information that lead to the arrest and prosecution of rhino poachers. Namibia has experienced a sharp increase in cases of rhino poaching over the past five years. Namibia lost one rhino to poaching in 2009 and 2010 respectively, two rhinos were illegally killed in 2012, four in 2013 and 25 in 2014. KLM set to increase Amsterdam <> Cape Town service to daily in 2016! Europe's largest airline group, Air France–KLM, has announced that KLM Royal Dutch Airlines (KLM) will increase its direct service between Amsterdam Airport Schiphol (AMS) in Amsterdam and Cape Town International Airport (CPT) in Cape Town to daily in May 2016. The airline will operate the new Boeing 787-9 Dreamliner to connect the two destinations. Air France–KLM (Air France and KLM) carry more than 77 million passengers per year. They operate 573 aircraft enabling them to fly to 243 destinations in 103 countries. Thomas Cook Airlines to launch direct flights London-Gatwick <> Cape Town! British airline Thomas Cook Airlines has announced that it will launch direct flights between Gatwick Airport (LDW) in London and Cape Town International Airport (CPT) in Cape Town as part of its (Northern) winter schedule (15 December 2016 to 20 March 2017). The airline will operate three weekly flights on Sundays, Mondays and Thursdays on board its refurbished Airbus A330 fleet between the two destinations. The flights will be the first direct flights to Cape Town from a UK airport other than Heathrow Airport (LHR) in London. Airports Company South Africa (ACSA) has published the on-time performance results of domestic airlines’ flying out of OR Tambo in Johannesburg, Cape Town International Airport, and Durban's King Shaka International Airport in October 2015.